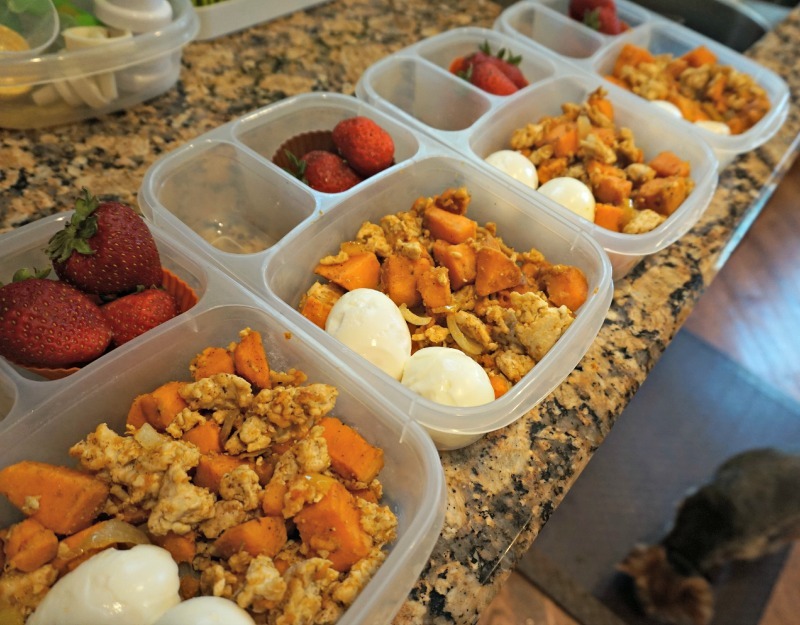 Does meal prepping sound expensive and not the least bit realistic? It doesn’t have to be, trust me! I decided to figure out how to meal prep breakfast because a few weeks ago I was feeling extremely lazy and decided to order precooked healthy meals from a service called Kitchfix. I received my order and it was just okay. Convenient, yes, but definitely not worth the cost. For $12, I just got one small meal. When I looked at the meals, I immediately knew I wasted my money. I could make a healthy breakfast for a whole work week for less than they charged for one meal. 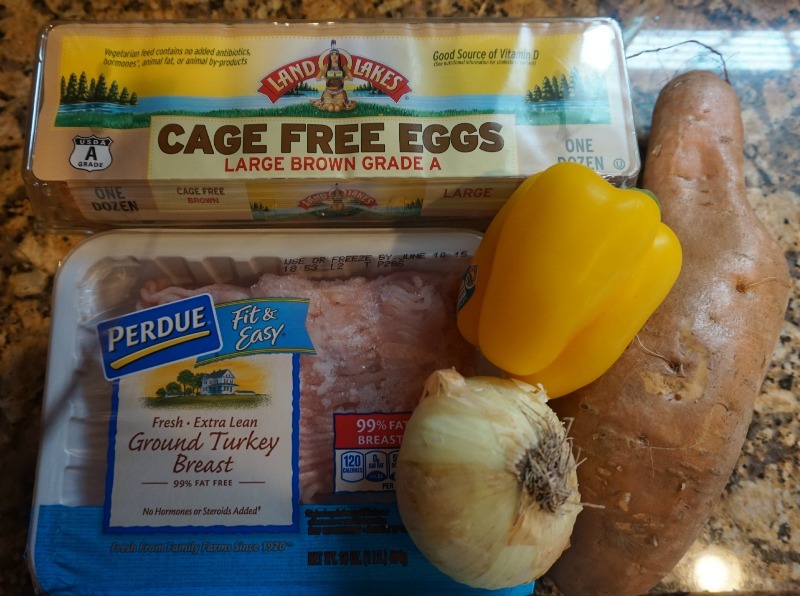 What I came up with was 5 days of a healthy breakfast that includes sweet potato hash, two hard boiled eggs and strawberries each morning. 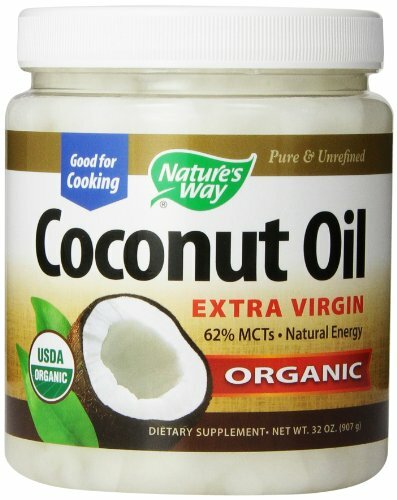 With this, you are starting your morning off with a ton of vitamins, nutrients and antioxidants each morning! 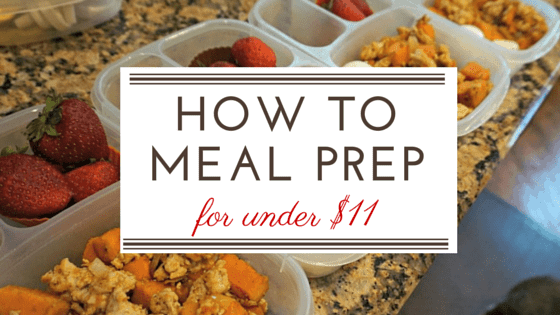 Total: $10.28 – That is just $2.05 for breakfast each day. 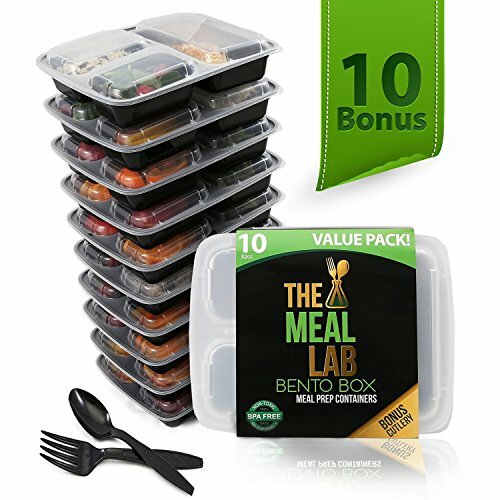 You will also need meal prep containers, bento style, to separate your meals in. This makes them easier to grab and heat every morning. You don’t have to waste any time opening each container, plating everything and then heating it up. Just pull your container out of the fridge, pop it in the microwave for a minute and eat! These are my absolute favorite because they are durable and last a long time, even through all of the dishwashing and microwaving. On top of that, you really can’t beat the great price. I just hard boiled the 10 eggs (please excuse how sickly they look, my son woke up as I was peeling them and I had all of 2 minutes to finish peeling). 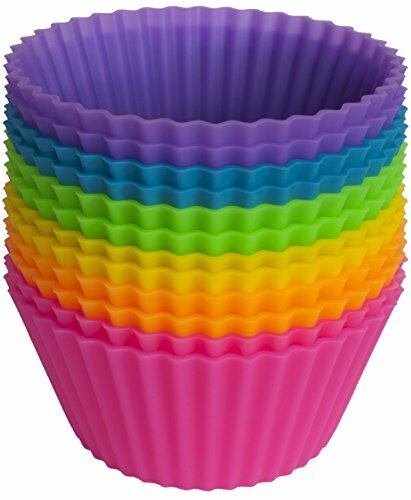 I put the strawberries in these silicone cupcake liners so that I can easily remove them when it comes time to reheat. Peel the sweet potato, use a fork to poke some holes in it, and microwave for 5 minutes. This will make the sweet potato easier to dice and it will also cook faster. 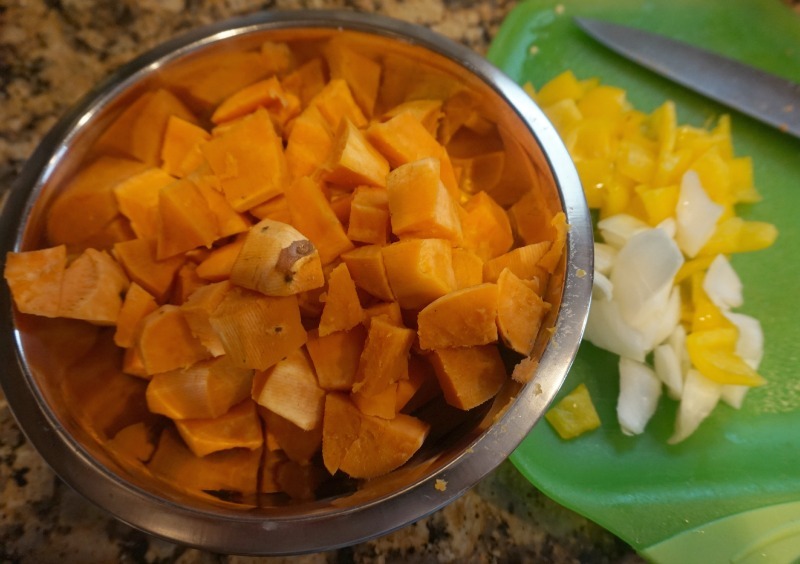 While the sweet potato is in the microwave, dice your onions and yellow pepper. When the sweet potato is out of the microwave, dice that too. Add onions and yellow peppers and cook until onions are gold brown. Add the sweet potato, cover the skillet and cook until they are tender. Add spices to taste. Don’t forget to stir occasionally. 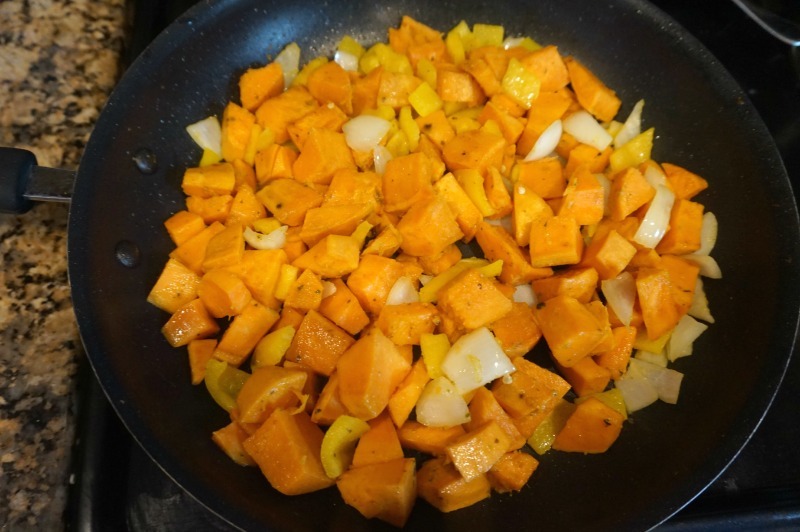 If necessary, add more olive oil or a little bit of water to cook the sweet potato. 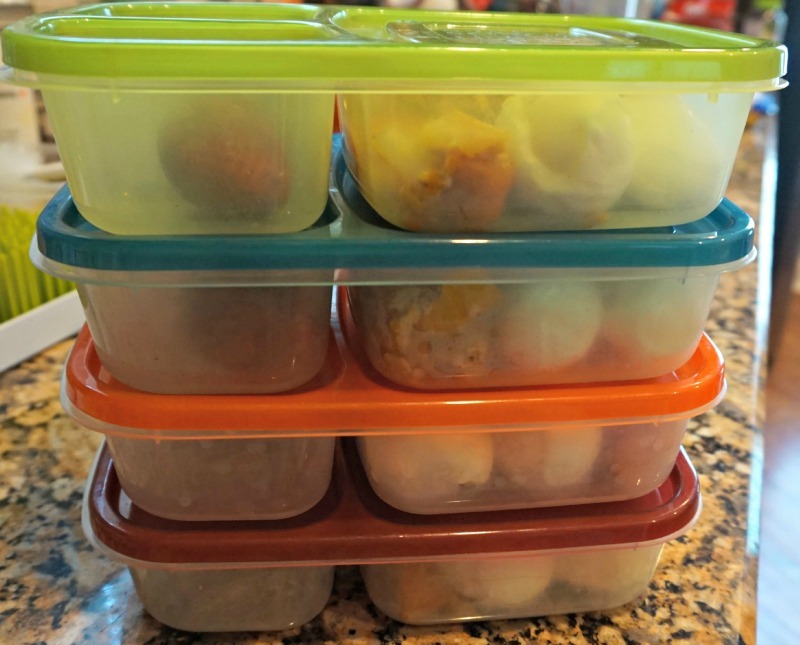 I use 3 compartment lunch boxes to prep my meals and silicone baking cups to easily remove the fruit when it’s time to reheat the food. 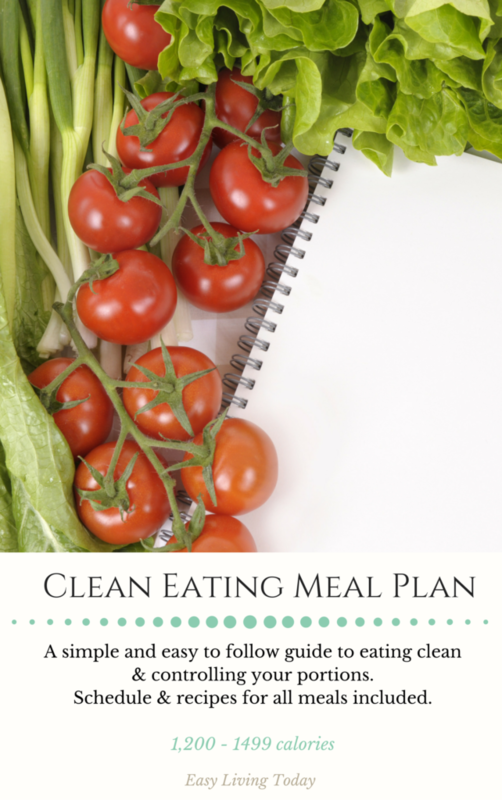 For more clean eating meal prep ideas, you can get this printable clean eating meal plan. 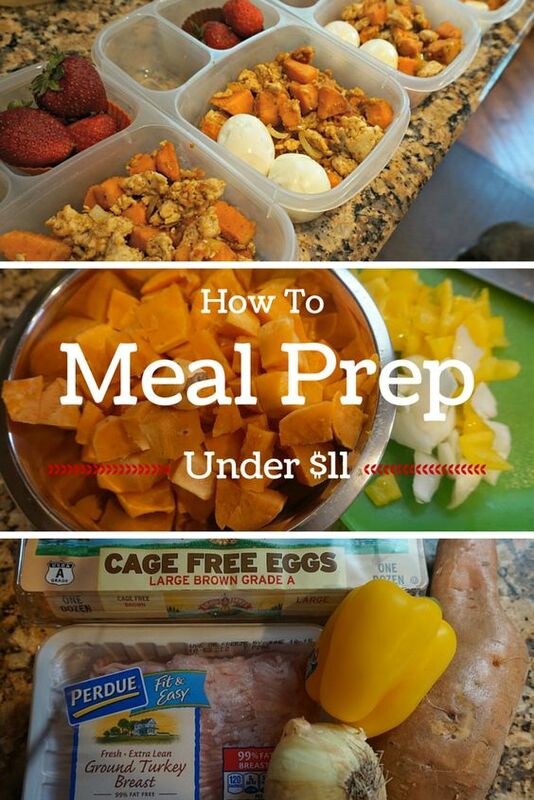 It includes a meal plan with breakfast, lunch, dinner and snacks for 21 days. It also includes all of the recipes and grocery lists for each week.